New to RVing? We can help. 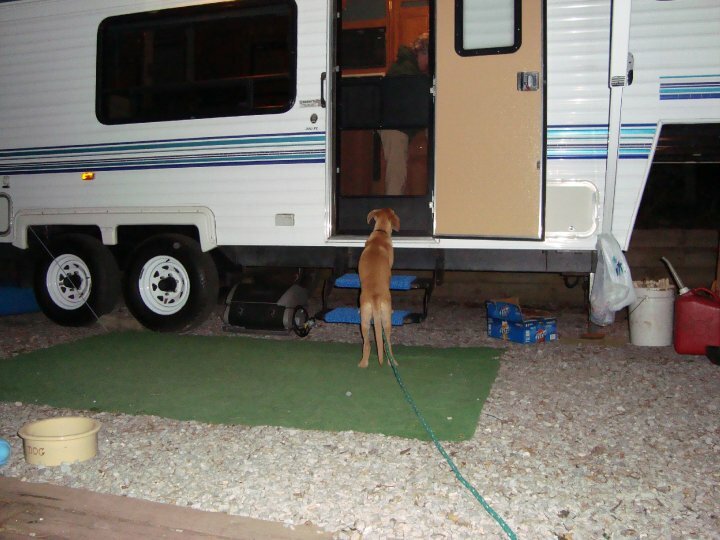 Everybody has to learn the ins and outs of RVing at some time. Hopefully, your mistakes and accidents will be minimal in the beginning. I thought I would put together some things to think about as you prepare your new RV and yourself, to experience the RVing lifestyle like a pro! Take care of your black water tank. This is one of the most important things to learn about. If your RV doesn’t have a black water tank sprayer, dump plenty of water down the toilet to clean it out. Add recommended chemicals regularly to ensure that tank material biodegrades properly. Packets are the fastest and easiest to use and require the least storage space; just toss one down the toilet with a gallon of water. Use RV toilet paper; it biodegrades faster. Make a maintenance checklist. Make a checklist of things to do before and after each RV trip to ensure that you don’t forget any maintenance procedures while you’re learning. Make notes of anything that you need to keep an eye on so that you can check it consistently. You don’t want any surprises while you’re on the road. Keep fridge and pantry stocked. Keep non-perishable staples on-board all season so you’re ready for spur-of-the-moment getaways. Make sure they are foods that will work together to make a meal. Remember to use food before their expiration date. Keep clothing, gear on board. Keep a set of toiletries, toothbrushes, clothing, games, leisure gear, pet supplies, etc. on board so that you have minimal packing to do at vacation time. This is just a very small list to get you started in your quest to become an experienced camper. Did I miss anything you experienced RVers? Please share more tips in the comments below…. This entry was posted in 5th Wheel Campers, 5th wheels, Campers, campgrounds, Camping, Family Vacationing, full time rving, Open Range, RV, RV Dealer, RV Hitches, RV Lifestyle, RV parts, RV service, RV Towing, Travel, travel trailers and tagged camper, campground, Camping, Camps, Campsite, experienced RVers, Go RVing, Lerch RV, new RV, new RVers, Outdoors, PA RV dealer, Pennsylvania, Pennsylvania RV dealer, Pennsylvania travel trailer, pennyslvania fifth wheel dealer, Recreation, RecreationalVehicle, RV, RV parts, RV service, trailer service, trailer towing, Travel trailer, United States, used camper dealer harrisburg pa, used RV. Bookmark the permalink. Great list so far! You might want to add that new RVs should look at adding a backup camera system to their RV to help them as they start to maneuver a large RV. An RV back up camera can help drivers back up and drive safely on the road and campsite.